From foundation to weather-tite and secure in just one day. 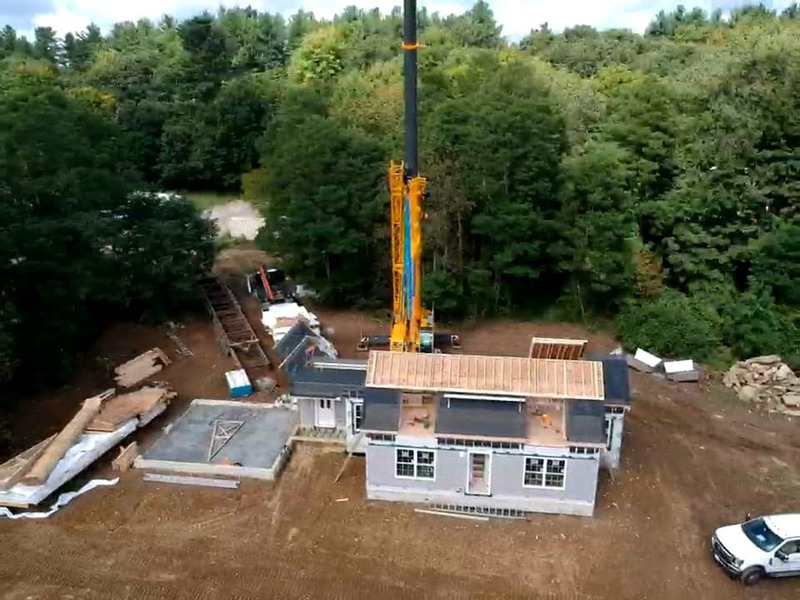 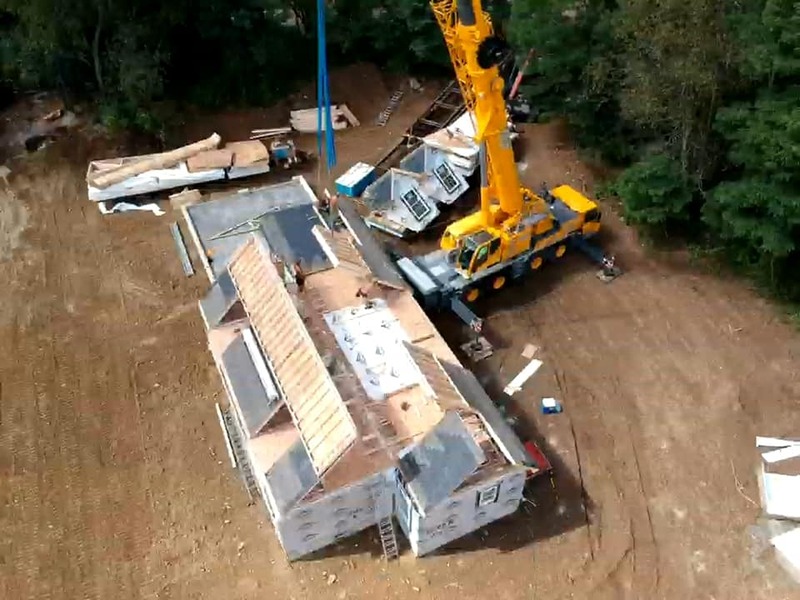 Here is a series of drone pictures showing how a new modular home went from foundation to completely set in Lee, NH. 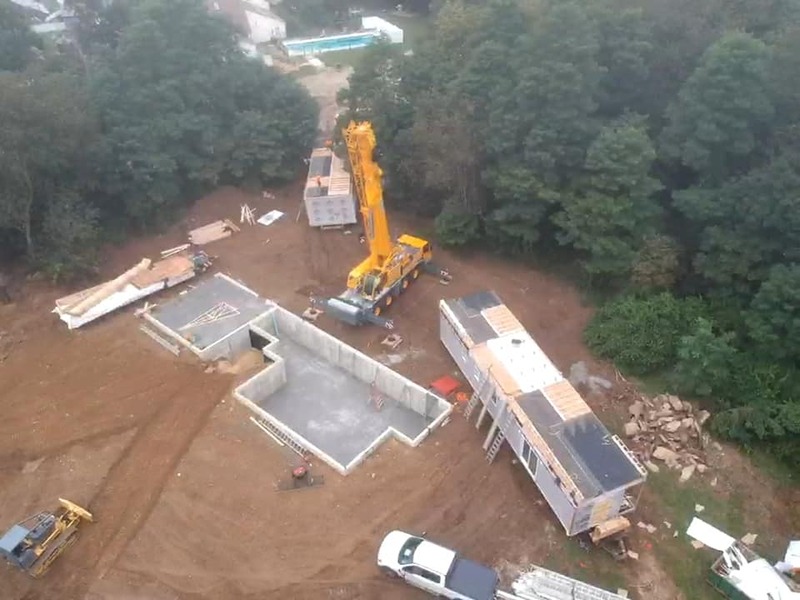 And this is not a shell like a panelized home where all the trades have to wait to begin until the walls, floors and roof system are finished. Modular homes are plumbed, wired, drywalled, trimmed and painted in the factory before it ever got to the jobsite. 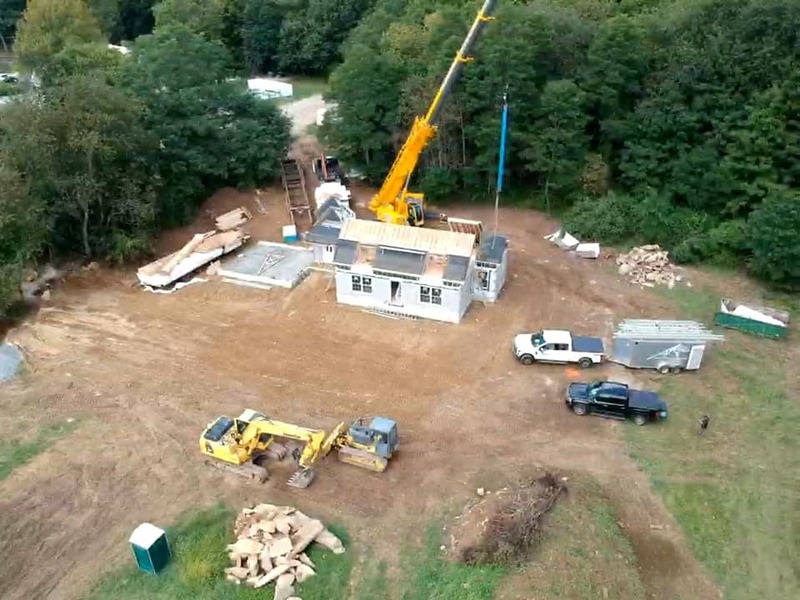 Contact us to build your custom home.